If you have any questions regarding our services, please feel free to give us a call. We look forward to hearing from you! 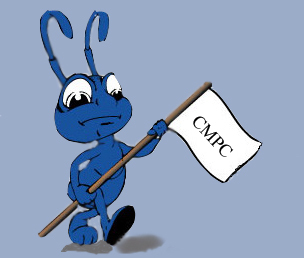 Central Mass Pest Control is a family owned and operated business. We are located in Fitchburg, MA, and service Central Mass and other surrounding communities. We are dedicated to providing professional pest management at a fair and reasonable price. We establish trust with our customers and provide them with the answers to their pest control concerns such as protecting your home, health, and business. We understand that some pest problems are often unexpected and need to be taken care of right away. It is our goal to help you address these concerns as soon as possible. By working together we can control current problems and also work to reduce any future ones. We offer pest management services in both residential and commercial settings and Integrated Pest Management (I.P.M.) is highly emphasized in each account to determine the best and safest way to protect you and the environment. We offer a comprehensive array of services, each of which is tailored to your specific needs and concerns. Our scheduled services range from one-time to quarterly services to make sure you are getting the protection you deserve.